Aramis Plastic Sword Fencing Equipment by Nasycon of Italy. The largest range of children's fun fencing equipment available anywhere in the world. The most *Advanced range available, including Buzzer, Electric and Wireless systems. Fully CE tested and approved. Italian & French Federation approved and used extensively in their youth development programmes. Distributed exclusively under license in the UK and Eire by BladesBrand UK. *The Aramis range covers all requirements of combining fun with a pathway to "real" fencing. 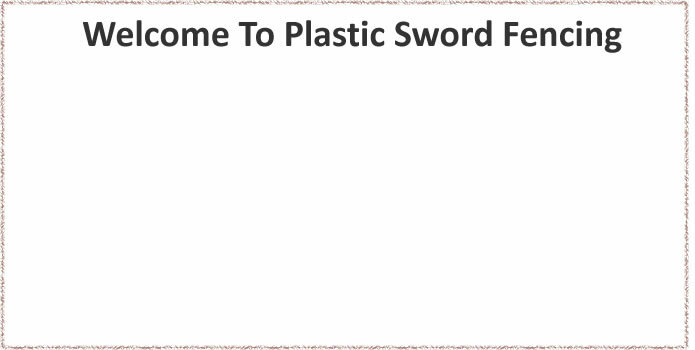 This includes progression from non acoustic to acoustic "buzzer" swords. Swords with bodywires for use with conventional electirc boxes and our new WIRELESS fencing system with its own scoring box, dispensing with the need for spools and ground leads. Plastic foil; 10 LED’s Choice of Red or Green included in the guard in addition to one/two tones audible buzzer with 2 second scoring time and an ON/OFF switch : no trailing wires required. 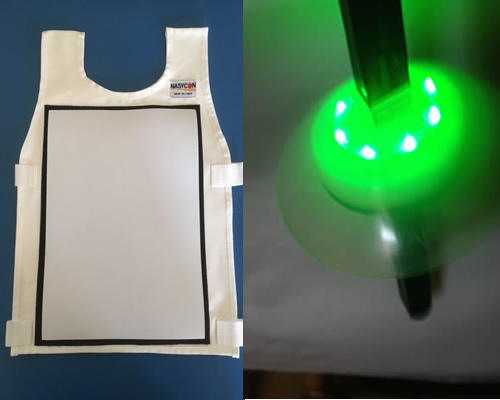 Vest with magnet target which allows target identification as foil fencing requirements to be used with LED foil. 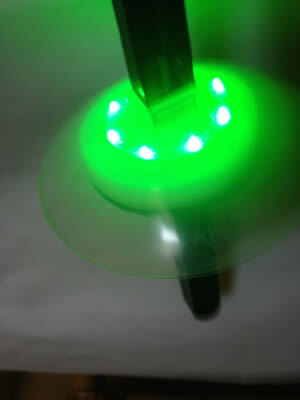 10 LED’s Choice of Red or Green included in the guard in addition to one/two tones audible buzzer with 2 second scoring time and an ON/OFF switch : no trailing wires required!